The effects of whole-tree clear-cutting on soil processes and streamwater chemistry were examined in a northern hardwood forest at the Hubbard Brook Experimental Forest, New Hampshire. Soil processes were examined by monitoring soil solution chemistry collected using zero-tension lysimeters from the Oa, Bh and Bs horizons at three sites along an elevational/vegetation gradient. Whole-tree clear-cutting created a severe ecosystem disturbance leading to leaching losses of nutrients from the soil profile, increased acidification, and elevated concentrations of Al-ions in soil solutions and streamwater. The response was driven by the process of nitrification that led to production of nitric acid in both the forest floor and mineral soil horizons. This acidity was largely neutralized by release and leaching of basic cations and inorganic monomeric Al-ions leaching with the NO3-ions. The major source of nutrient loss was from the forest floor. The chemical response to the clear-cut was most intense during the second year following the treatment and declined to near reference concentrations in 4–5 years. 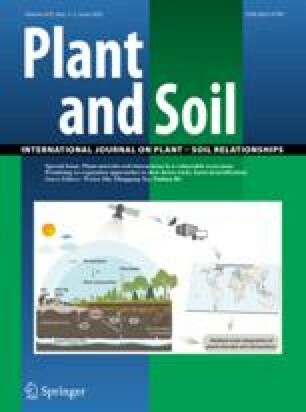 High elevation sites showed the greatest response to disturbance and the slowest recovery of soil solution concentrations to pre-cut concentrations. Shallow soils and a slower recovery of vegetation at the upper elevation sites were the primary factors contributing to the enhanced disturbance and delayed recovery (and enhanced response to disturbance in the upper elevation sites).